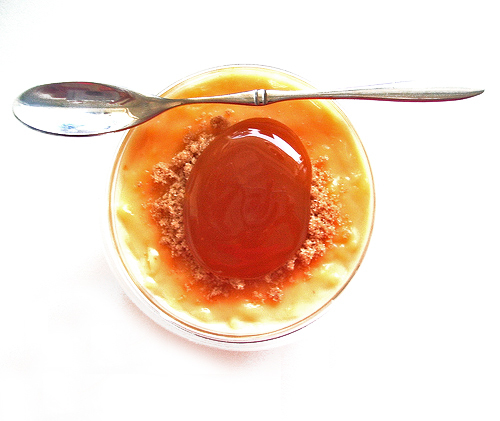 Rice Pudding with butterscotch sauce & brown sugar. 1) Whisk eggs, sugar and essence together in bowl. Gradually whisk milk and cream into egg mixture. Stir in sultanas and rice. 2) Pour mixture into greased ovenproof dish (1.5 litre/6 cup capacity), place in baking dish with enough boiling water to come halfway up side of ovenproof dish. Bake, uncovered, in moderate oven (180C) 30 minutes; stir gently halfway by slipping a fork under the skin to distribute rice and sultanas evenly through custard. 3) Dust with cinnamon and bake further 15 minutes or until custard is firm. Storage : Covered, in refrigerator. This recipe is also gluten free, provided the gluten free ingredients/brands are used. Cook sugar, butter and corn syrup, stirring and add milk. Cook to soft ball stage. Let cool. Beat on electric mixer until smooth. Serves 4. Keep covered in refrigerator.